Disney Runs in the Family: Friday Five: Five Things About Me! I had so much fun linking up and reading other's posts on Tuesday, I decided to try another link up! This time, it's with the ladies from Eat Pray Run DC, You Signed Up For What, & Mar On The Run. I love reading running blogs, and hope to meet some fellow bloggers soon at my next race. 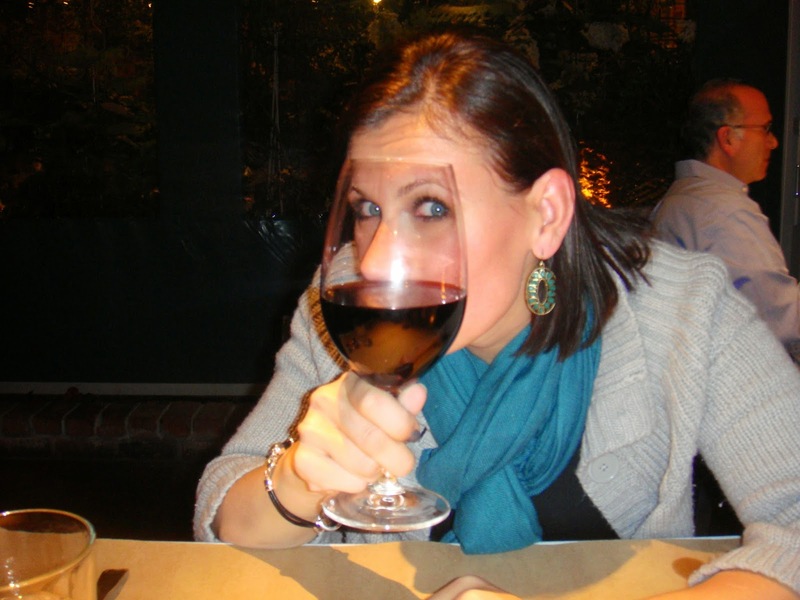 So...this week's topic is Five Things About Me. Only 5? I could tell you so much more (but whether you'd really want to know is a whole different story...hahahaha...). 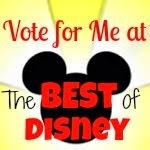 Since this is a Disney and running/fitness blog, I'll narrow it down to those categories. So, here we go! hs before the race (none of this crazy panic that is registration now) and it was only $90. Ahhhh...the good ol' days! 2. My hubby popped the question in Disney World right in front of Cinderella Castle. It will always be my favorite Disney memory--I can't think of too many things that could top that! 3. My first marathon, or race of any distance for that matter, was the 2005 Las Vegas Marathon (before it became the fab Rock 'n Roll event it is today). It was a bucket list thing--I trained and ran, thinking it was a "one and done"! It took me 5 more years to lace up for another race. 4. Along with running, I'm a certified personal trainer and group fitness instructor. I've been working (part time) in fitness since college. I currently teach 5 classes a week at 24 Hour Fitness; it's my "just for fun" job! 5. I love being active, which is a great thing because I also LOVE to eat. I refuse to give up pizza, wine, ice cream, or chocolate, no matter what training I'm doing. So, there you have it! But wait, isn't this Disney Runs in the FAMILY? Yes, so if you want to learn more about all of us, check out the Meet the Family page. I've never done a Disney race but I really want to. Can't figure out how to do the race and then still be able to do Disney. We've been there 12 times-it's exhausting. I did the Vegas half last year-it's a blast! I was at the Vegas half last year too! Loved the half at night. 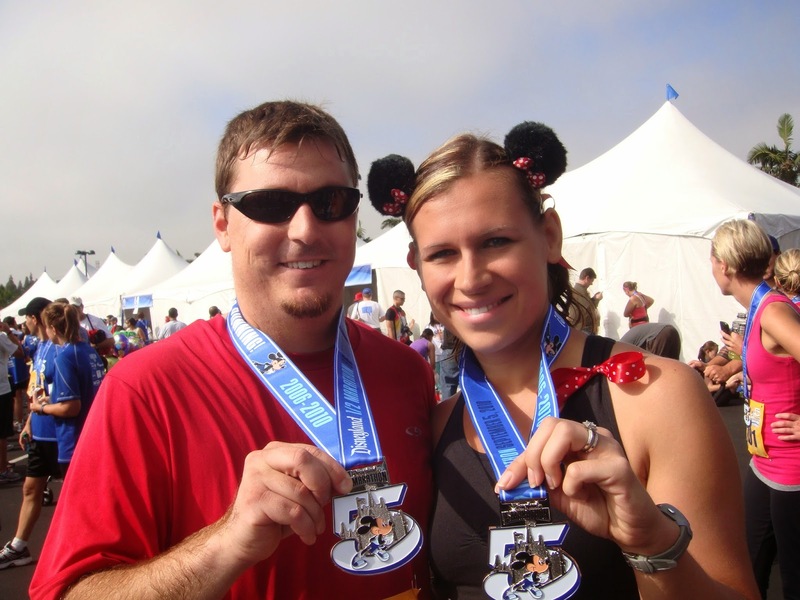 You could totally do a Disney race and race-cation, but it definitely has to be modified :). Great list. Wish I could have gotten in on runDisney in the good old days of $90, haha. Vegas is one of those I think I'd like to run just because it's Vegas. Wow, only $90 for a Disney race....more than double that price now. Local races have become much more appealing with the raise in prices at the Disney events. Yep, even in just two years, the price of the 2013 Goofy Challenge is the same price as the 2014 Dumbo Double Dare. Eek! I am so glad I found your blog through the friday 5. We have so many things in common. You will be going on my reading list for sure! We started running disney in Feb 2011 and the hype was still much lower than it is today. We will also be running Las Vegas in ( RnR) in November! I will have to search your blog for recaps! 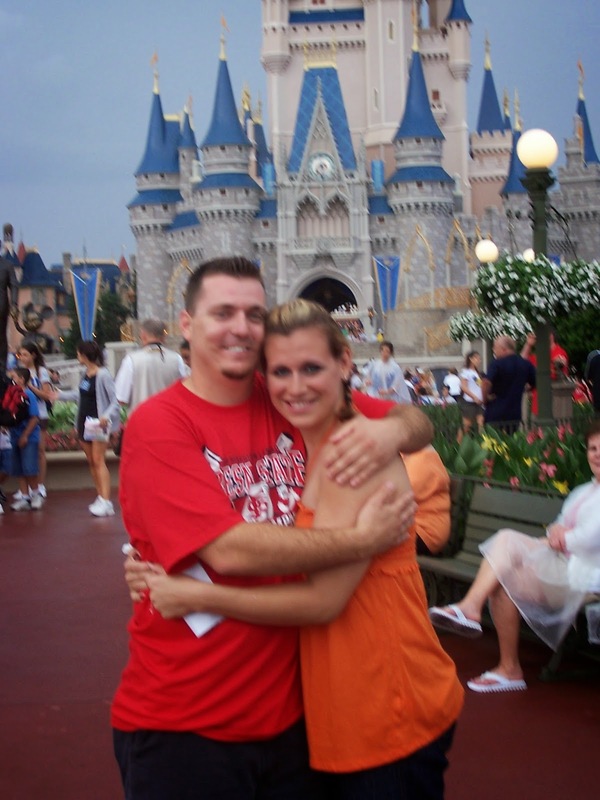 I love that your husband made Disney even more special for you. Sounds like a great memory! My first race was a 10K in Hyannis, MA. In February. Not sure what I was thinking but I've been in love with racing ever since!! I did one Disney race, the Princess half (5th anniversary) last year and loved it. But the prices and the lure of other awesome races hasn't brought me back to one. I'm hoping to do Princess this year (actually Tink & Princess to get that pink coast to coast). I have heard nothing but good... well, except for the price. Can't wait for February! so cute that he proposed at disney! love it. and so interesting to see how rundisney has become SO CRAZY is just 4 years!! It seems like forever, but really it has been such a short time and such a HUGE build up! I have never run a Disney race but it looks like so much fun. The price and travel to go is really whats going to keep it from happening for me. Looks like you have a lot of special memories at Disney! I have to confess... we have a little secret! My hubby is an educational consultant and travels for work, so we are able to fund our hotel and flights with points. It really is the only way we are able to run so many races, and even then it's pricey! Do it! It's so awesome at night, even if you've been to Vegas a million times! I personally would suggest the half, though, because the full takes you into "interesting" areas that are pretty dead. All the good stuff is on the half course... twice! Nice to meet you! My first race was a Turkey Chase 10K in 2003. I've never run a Disney race before, but the new SW one intrigues me :) I can't believe it use to be $90! So amazing that you have the running and also the engagement memories at Disney! Yes, we are nuts about Disney! We actually also spent a few days on our Honeymoon in Disneyland Paris :). It was so cool to hear our favorite Disney characters speaking French!